One of the certification requirements for young women attending Girls Camp as 4th years is to observe the night sky, identify 2 or more constellations, and read scriptures, then reflect. Now is a great time to get this done, while it gets dark earlier and you can try and catch a nice, clear night sky. I just put together this printable to help our 4th years get this done. I’m also going to print this out, which shows some constellations from the winter/early spring sky, along with some facts about each one. A great app to help locate the constellations in the sky is this one. 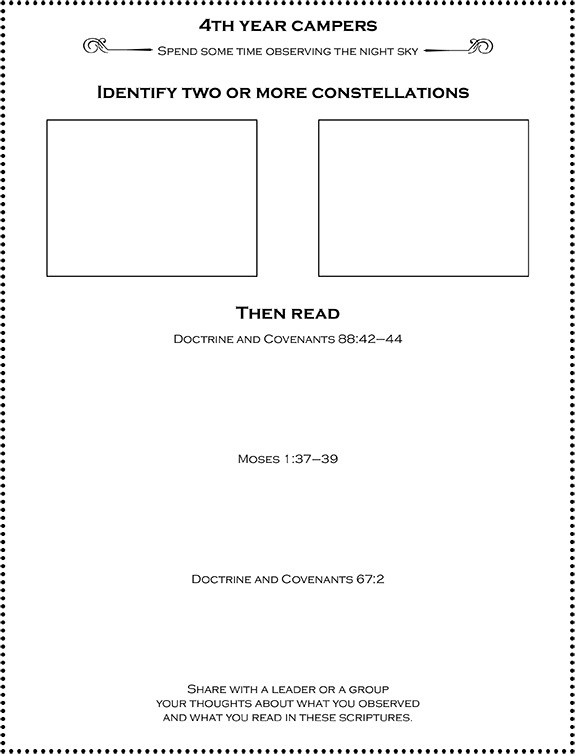 You can download my observation/scripture worksheet here.